Product code: ES3354 Categories: Sold Items, Sold Jewellery. 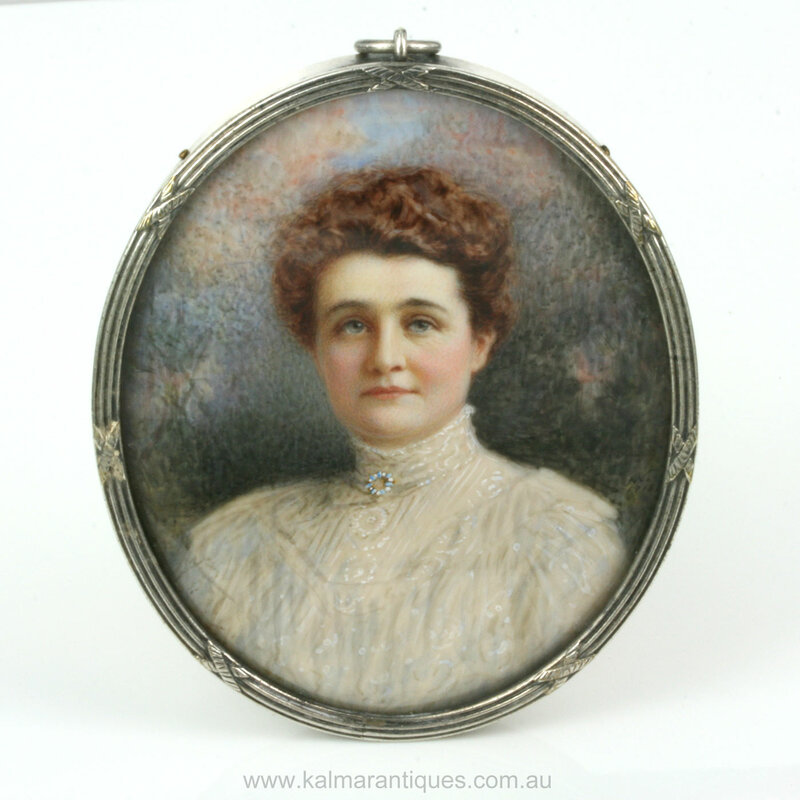 Miniatures have been so popular over the centuries and here we have not only a expertly hand painted antique miniature, but one that was painted by an Australian artist, Ada Whiting. 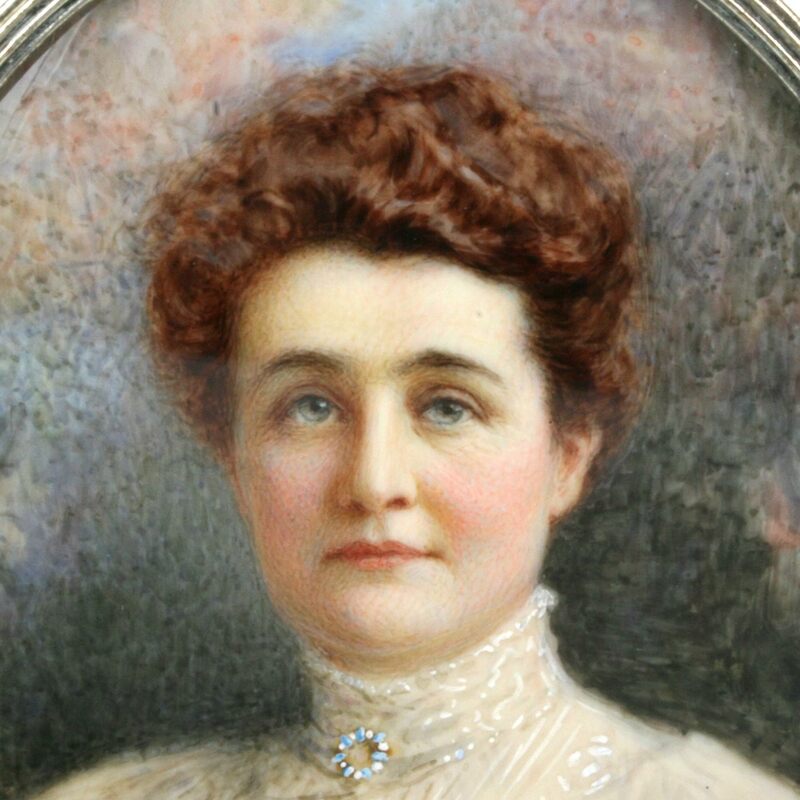 Ada Whiting (1859-1953) was mostly a self taught artist who specialised in painting miniatures and painted for such people as Dame Nellie Melba, and continued to paint right into her 90’s. It is so wonderful to admire the fine quality of a miniature such as this, and even more wonderful when you can not only find the artists signature but also that it was an Australian artist. Painted on ivory, the detail is superb and will have you admiring from near and far with so much appreciation for what a superb artist she was. This miniature is set into a very elegant sterling silver frame that measures 6.6cm wide by 8.3cm. Any antique miniature is wonderful to have, but to have one by Ada Whiting makes it even more special.